Blackpool is where it all began for Premier LPG. Our first depot was in Blackpool and from where we are proud to have established our reputation as the leading independent LPG supplier to homes and businesses throughout the North West. It’s no wonder we have built a strong customer base in Blackpool and continue to serve those homes and businesses not on the mains gas supply network with great customer care, reliable gas supply and the cheapest LPG prices. In the area surrounding Blackpool there are several LPG metered estates with new residential developments, farmhouses and barns being converted to domestic homes. 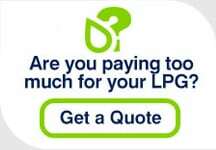 Blackpool LPG users can find more general information on the following pages: Domestic LPG transfers, Metered LPG transfers and Commercial LPG transfers.